Recently finished re-painting 2 more Firesprays. Together with the first one, the trio makes a lovely swarm of Bounty Hunters. 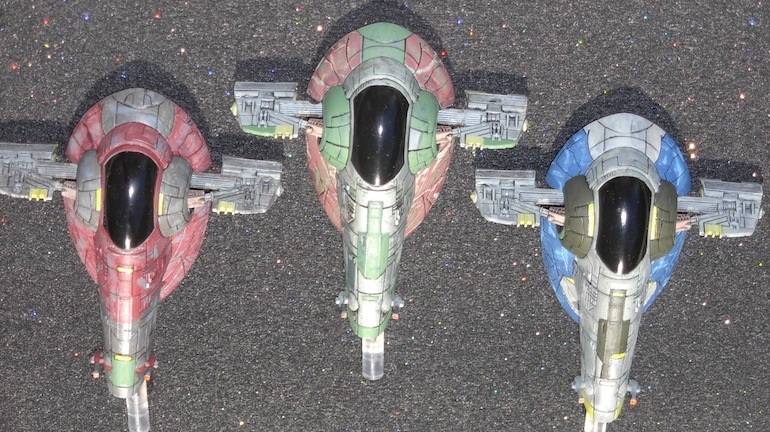 And flying the 3 of them is a fearsome hard-hitting squad. Just used my usual assortment of Model Masters and Testors paint right over the factory finish. The engine glow is Clear Turn Signal Amber over a base coat of White. Hull panel lines inked in with a Micron Art .005 black pen. The first Star Wars lunchbox that I’d fitted for carrying big ships can only carry up to 1 YT-1300 and 2 Firesprays, Had to fit out a new lunchbox to carry the trio of Firesprays. 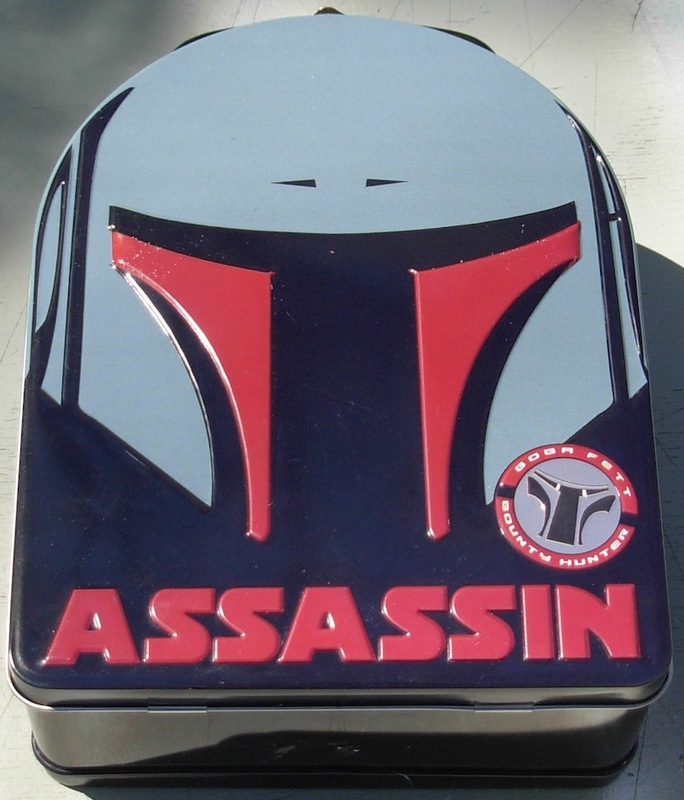 Amazon, keyword search: Star Wars Lunch Box — struck gold! LIke with the first one, lined this with sheet foam from the craft store, and cut down a box lid to make a custom fit tray to hold the flight stands and bits. The tray balances snugly on top of the foam dividers in the lower level. Question on one of the gaming forums asked how the faded paint on these was done. Should have mentioned that directly. I painted the ‘cracks’ on the front side with light greys on the red colours, and light blue on the blue. Painted a small swatch at a time and dabbed it with my finger tip to blur it in.